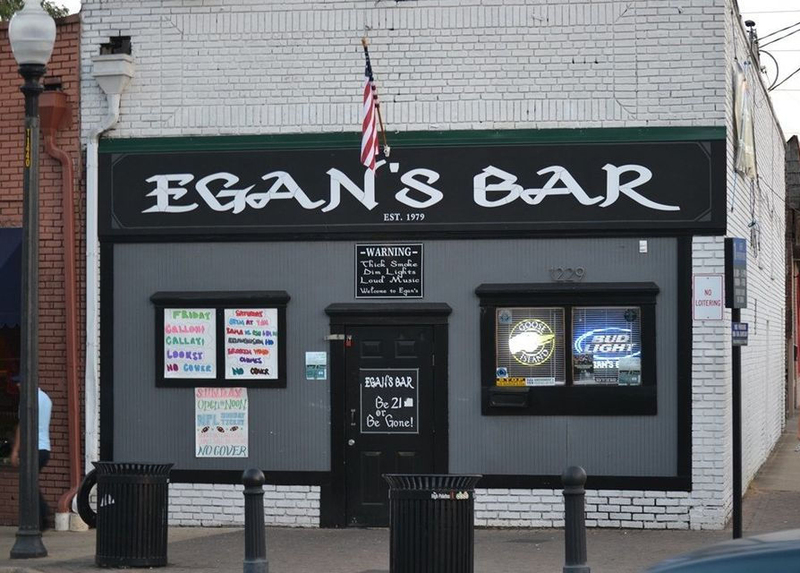 Egan’s Bar, a longtime bar in Tuscaloosa in conjunction with Buffalo Rock Pepsi and the Arts and Humanities Council of Tuscaloosa are seeking proposals from artists or artist teams for the commission of a site specific outdoor mural to be installed on an existing blank concrete wall on the Egan’s bar building. Egan’s is located at 1229 University Blvd, close to the University of Alabama campus. The wall measures 62’ X 18’. Site specific artwork will be given the highest priority with the potential to: brand the space, introduce color, serve as a backdrop for photos, and provide an invitation for spectators to become part of the art experience. Please do not submit a UA or football themed proposal. Artist proposals are to include all proposed costs, such as materials, installation, artist fees, etc. Artists will be asked to develop a line itemized budget as part of the proposal submission. Affordability of the project cost will be weighted in the selection process, with a budget up to $10,000. All artists over the age of 18 are eligible to submit and proposal. All proposals will be reviewed and considered by the Tuscaloosa Public Art committee. Upon award selection the artist must adhere to the installation deadliness outlined in the proposal. The decision of the selection committee will be final. 1. QUALITY: In choosing the final art work, the selection committee gives highest priority to the inherent artistic excellence of the submitted design, as well as its broad appeal to the general public. 3. SITE APPROPRIATNESS: highest priority will be given to artwork with the potential to: brand the space, introduce color, serve as a backdrop for photos, and provide an invitation for spectators to become part of the art experience. No University of Alabama themed work will be considered. 4. PERMANANCE: The work must be durable and suitable for outdoors with the ability to withstand the elements. 5. DIVERSITY: The committee strives for diversity in style. 1. Resume/CV; if a group proposal, resume should be submitted for each artist. 2. Detailed plan and description of timeline. 3. The deadline for proposal submissions is March 1, 2019. 4. There is no cost to submit a proposal.